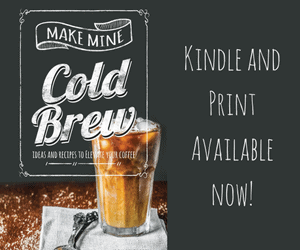 Although cold brewed coffee has a long history in Japan, it’s still somewhat of a new kid on the block in North America. When you’re just getting started, it’s hard to know which beans to use in order to get the results you’re looking for. 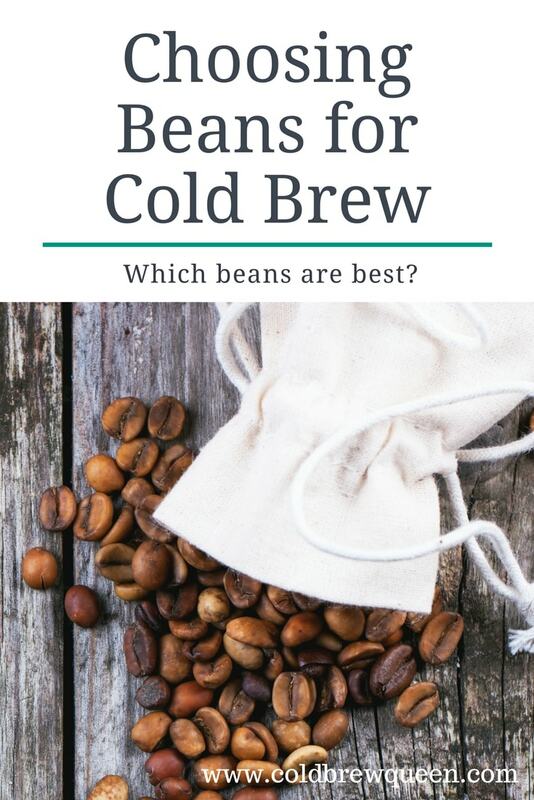 You’ll learn a lot from trial and error, but before you get started it also helps to know something about coffee beans, as well as take a look at what your favorite brands of cold brew are doing. Medium to coarse grinds of coffee are recommended. There are coffee roasters making coarse grinds just for cold brew. There are two main species of coffee grown commercially around the world – coffea Arabica and coffea Robusta. Arabica grows at higher altitudes and produces lower yields. It is also more prone to disease. As its name suggests, Robusta is less vulnerable to disease and other adverse conditions. All else being equal, Arabica beans are better quality than Robusta. Arabica coffees have more aromatic oils and sugars, leading to more complex and less harsh flavors in the final product. Robusta costs less to grow and is often used in instant coffee or cheap, mass-produced ground coffees. Just be warned that the word “Arabica” is not a guarantee of quality. 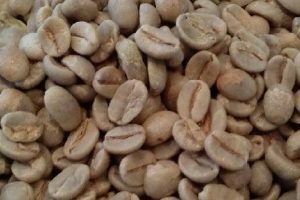 There are plenty of bad Arabica beans on the market, and there are also good Robusta beans that don’t deserve their bad rap. What is the difference between single origins and blends? You probably already know that single origin coffees tend to be more expensive than blends, but does this mean that they’re better? Single origin can be a misleading term. It may refer to coffee that comes from a single farm or group of farms, a single region, or even a whole country. 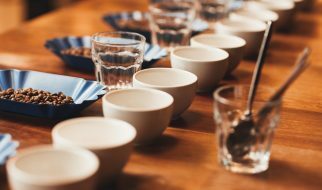 Generally speaking, you can expect single origin coffees to be somewhat unpredictable and show variations from season to season. They may have one overriding quality such as bright acidity or a velvety mouth-feel to recommend them. Blends aim for consistency and predictable results. By combining beans from two or more origins, roasters can reliably produce a blend with a specific set of flavor and aroma characteristics. They may have to adjust the recipe over time to account for variations in the beans due to changes in weather, soil or processing methods. Blends are best when it’s important to know what you’re getting and how it will work with a given brewing method. 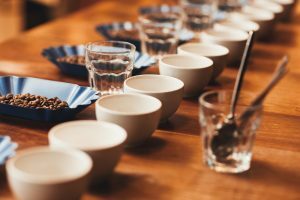 How to Choose Between Blends and Single Origin? Cold brewed coffee is popular because of its natural sweetness, low acidity, chocolaty notes and lack of bitterness. When choosing an origin for your beans, it makes sense to work with these characteristics rather than against them. It doesn’t make a lot of sense to pay top dollar for a single origin with light, flowery flavors and a bright acidity if you’re planning to use it for cold brew. Those characteristic flavor notes will mostly get lost in cold brewing. Some experts recommend staying away from Ethiopian single origins for this reason. 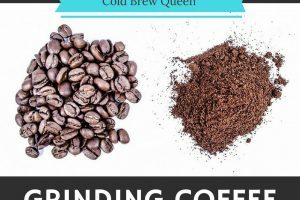 Several coffee roasting companies offer specific blends for cold brewing. These tend to include a lot of South and Central American coffees as well as some Ethiopian beans. One great choice is Stone Street Cold Brew Colombian Supremo. This is a single origin, darkly roasted coffee hailing from Brooklyn. Whether you decide to go with a blend or a single origin, stick to a coffee with mellow, earthy flavors and save the light, fruity beans for hot brewing methods. Note that the results with a slow drip method can be different. You’ll still get low acidity, but some of the light citrusy flavors may be better extracted than with full immersion. How long your beans are roasted affects the color and flavor of the final product. Choosing the right roast is just as important as choosing the right bean for your cold brewed coffee. In hot brewing, light roasts are often praised for allowing the distinctive flavors of the beans to shine through. They are often used for single origin beans with fruity, floral tones. I generally don’t use light roasts in cold brew. Medium roasts are the most common and the most popular in North America. They are characterized by an earthier flavor than lighter roasts. Medium roasts work well for cold brew. By the time you get to medium-dark (or Full City) roasts, you may start to see a shiny layer of oil on the surface of the beans. Dark roasts go by names such as Italian, French and Espresso roast. Dark roasts can also shine in a cold brew, but be careful as sometimes they can impart a burnt flavor your coffee. Dark roasts can work well if you are making a mixed drink or adding milk. Many coffee aficionados swear by grinding your own beans right before brewing. But what if you don’t have a coffee grinder? True confession–I use pre-ground coffee probably 50% of the time for my daily cold brew. It works just fine. To avoid over-extraction, just cut your brew time, and brew in the fridge. I usually start my immersion after dinner and strain it the next morning, about 9-12 hours later. Surprising, my favorite pre-ground coffee goes against convention in this article, and is Gevalia House Blend. 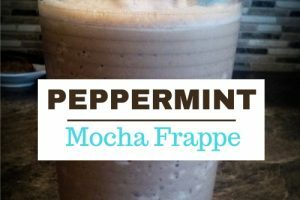 It makes a mellow brew with hints of caramel and chocolate. Bonus, the decaf version of this coffee works great as well! 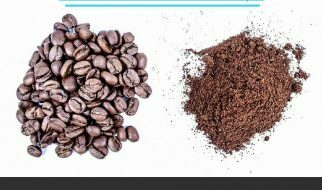 One reason to grind your own beans is that many supermarket coffees are fine or medium ground, and cold brew is usually made with medium to coarse ground beans. One standout coffee that comes coarsely ground out of the bag, and that earns rave reviews, is Hugo Coffee Dog Daze. A dark roast with chocolate, nuts and spice notes, it is made from ethically sourced beans and roasted in an environmentally friendly way. It comes with a premium price, but each purchase also helps to support dog rescue. Another option is Bizzy’s Cold Brew Coarse Ground beans. Bizzy’s creates a popular ready to drink cold brew as well, so it is a natural extension for them to offer coffee beans as well. Chances are you’ve tried commercial cold brew coffee and fallen in love with one product or another. Knowing how your favorite cold brew is made can give you some clues about which beans to start with. Starbucks doesn’t reveal the exact blend of beans they use in their cold brew, except that they are Arabica beans from Latin America and Africa, probably medium-roasted. In coffee shops, the Narino cold brew features Colombian beans. They do disclose more about their brewing process: coarsely ground beans are immersed in water for 20 hours. If you prefer Starbucks cold brew and are trying to make something like it at home, try using a blend of Colombian or Guatemalan beans. Chameleon sells a popular line of cold brew concentrates and ready-to-drink products as well as cold-brew coffee pods. They rely mostly on Mexican, Central and South American beans and recommend a 16-hour brew time. They also use a gentle agitation during brewing that you could partially reproduce at home by lightly shaking or turning over your brewing container from time to time during immersion. Again, they use a coarse grind. Stumptown also makes a range of cold-brew products. As well as the usual blends of East African and South/Central American beans, they also produce some single origin products such as Ethiopia Guji. They aren’t too specific about their brewing time, except to say that it’s longer than 12 hours. 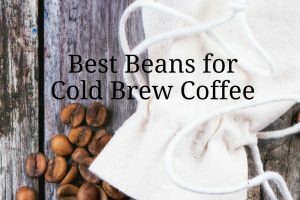 If you have a favorite commercial cold brew, try to do a little digging on their website and see where there beans are from and what type of roast they are. Then look for something similar. Look for beans that feature chocolatey, earthy flavors and avoid fruity profiles. If you prefer fruity and acidic coffees, try using light roasted beans in a cold drip brewer. Finding the perfect beans for your cold brew is going to involve some experimentation. 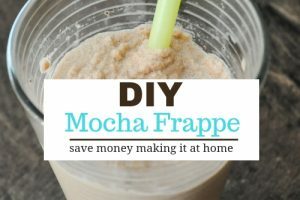 But knowing something about how your favorite cold brew products are made, as well as how different kinds of beans respond to the cold brewing process, gives you a great place to start. Thanks for this helpful list of info. I’m new to cold brew but would like to start making it and offering it. This was a great primer on flavors. Thank you!